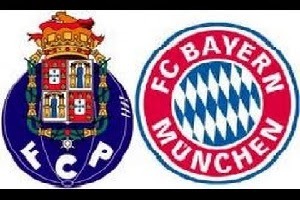 Porto hosts Bayern Munchen in the Champions League quarterfinals. For most people the German team is the favorite to qualify and win both games. Well I agree that they will go to the next round,but it will not be that easy. And they are not going to win the first meeting between these two. Bayern is without Arjen Robben, Franck Ribery, David Alaba and Benatia. Bastian Schweinsteiger if he is playing at all will not be a 100% ready after his injury. These are all players that usually take place in the A team. Porto is a team that fights for possession,has really skillful midfielders and players at front. They will play at home and can not afford to loose against this version of Bayern Munchen!